EASTPORT, Maine — A company that farms salmon in Maine and New Brunswick says it’s using a new approach to combating the epidemic of sea lice that has never been used in Atlantic Canada before. 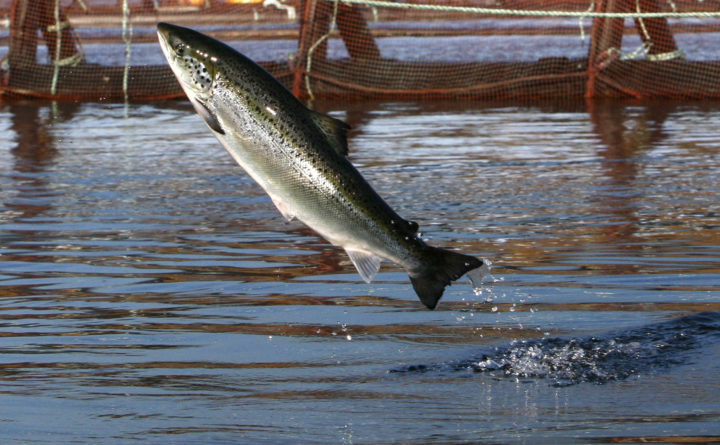 Salmon farms all over the world struggle with sea lice, which plague salmon and render them impossible to sell. Part of the problem is the lice have become increasingly resistant to pesticides used to kill them. Cooke says the technology has been shown to be 98 percent effective at removing the lice without harming the salmon. It’s one of many non-pesticide solutions fish farmers have tried to beat sea lice.